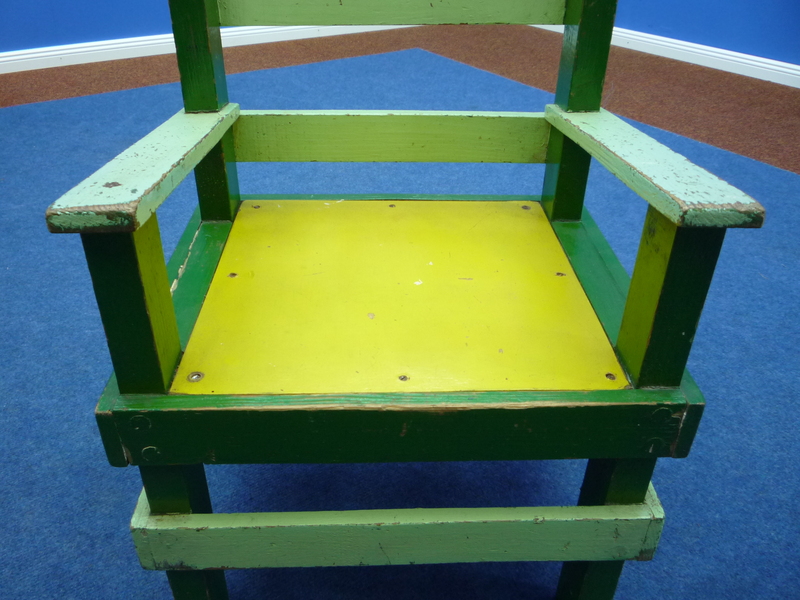 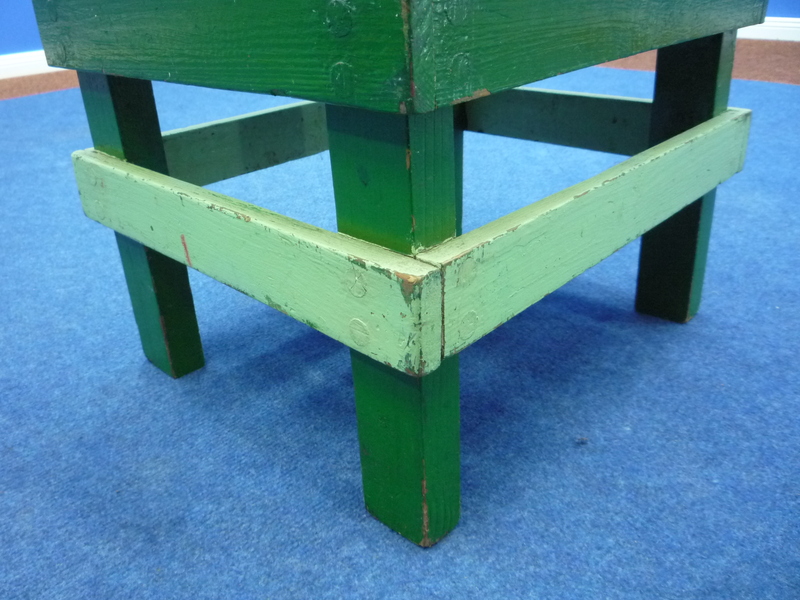 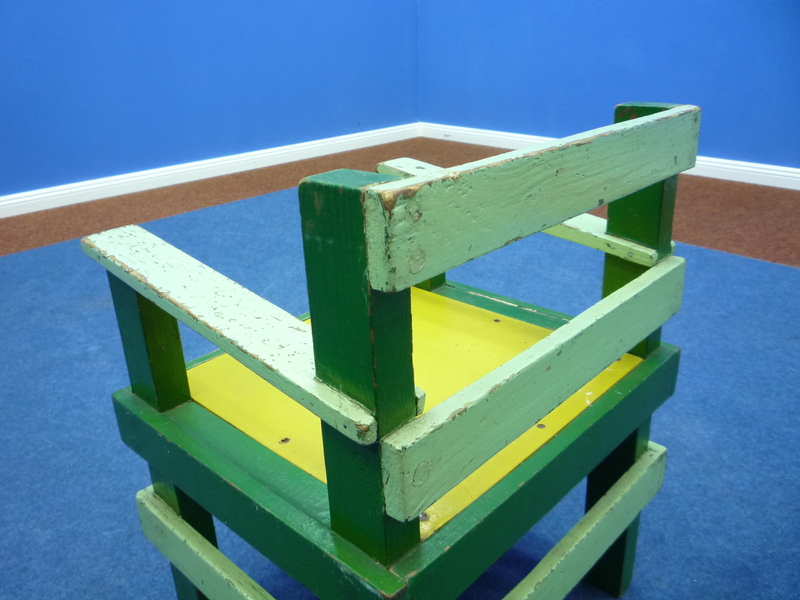 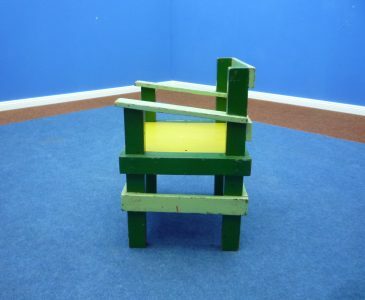 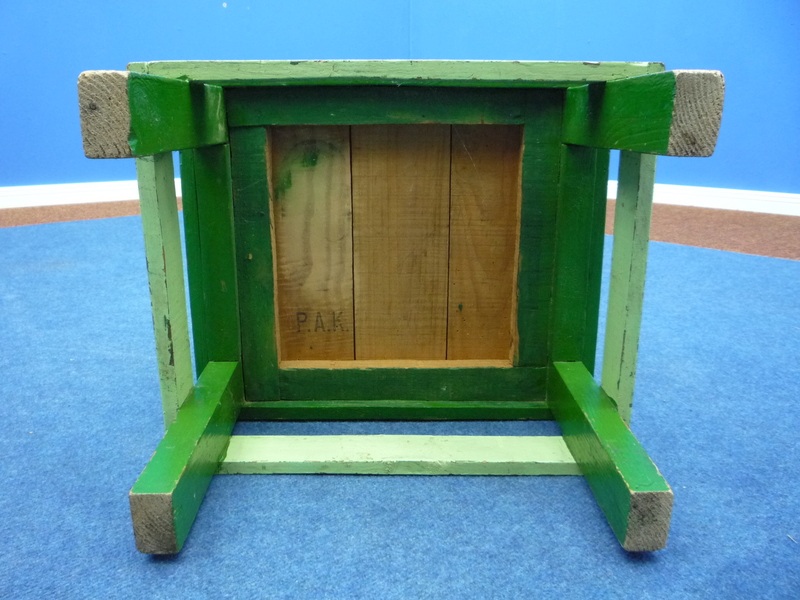 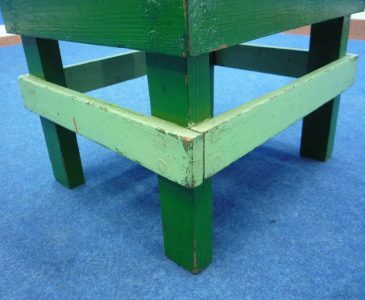 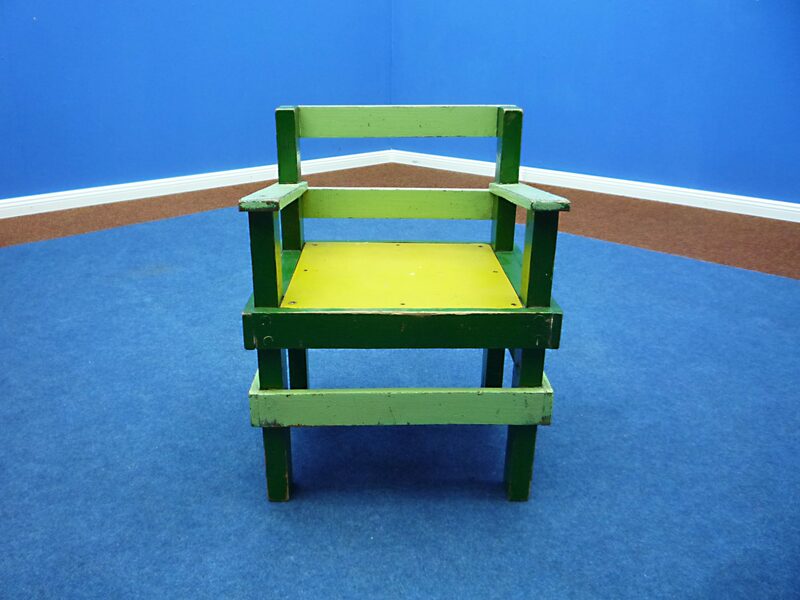 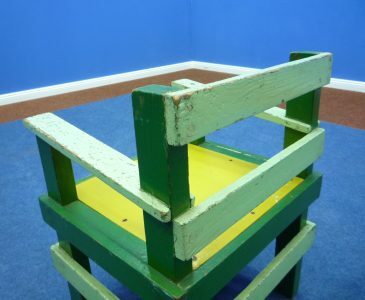 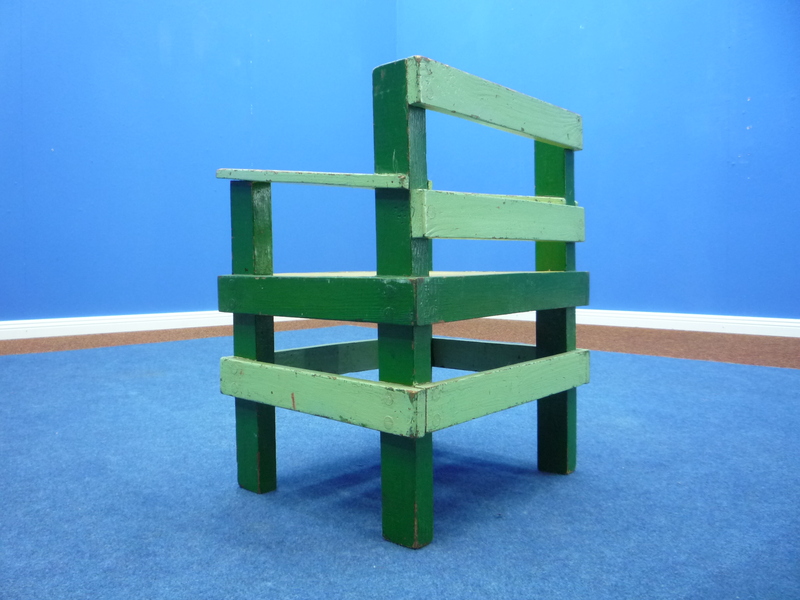 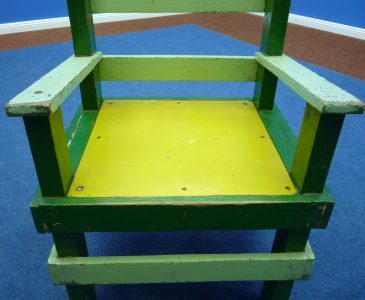 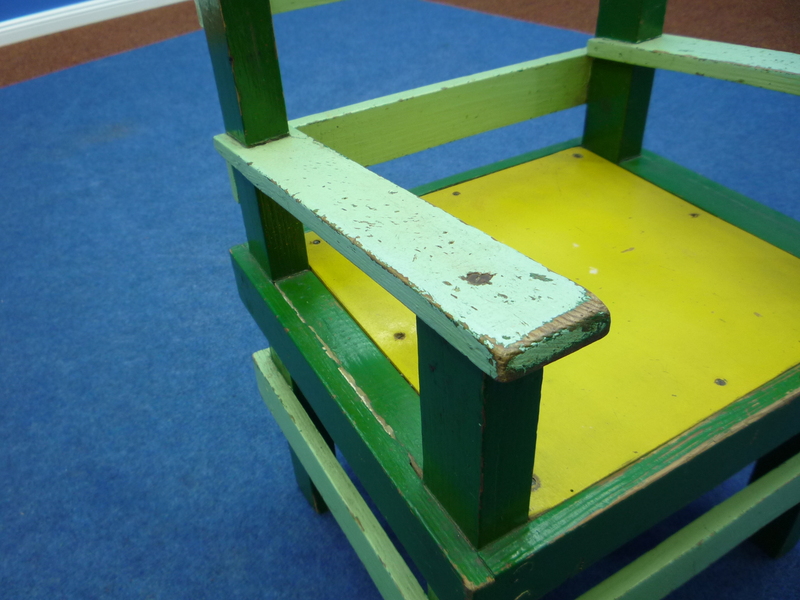 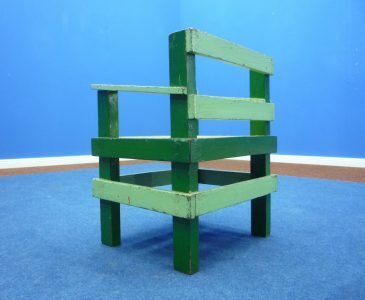 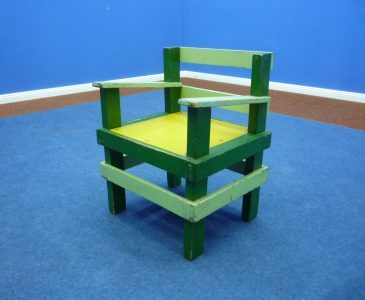 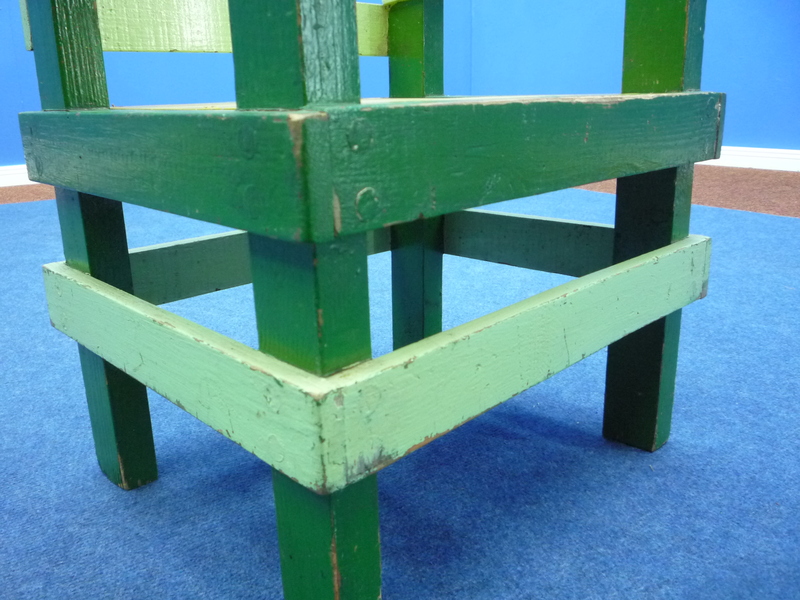 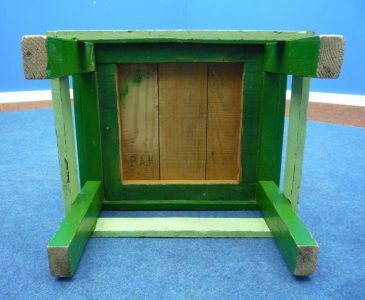 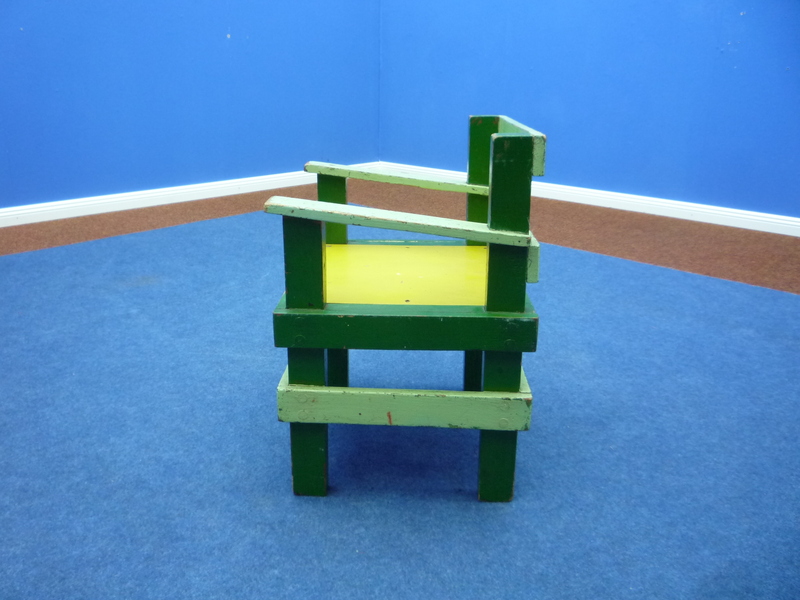 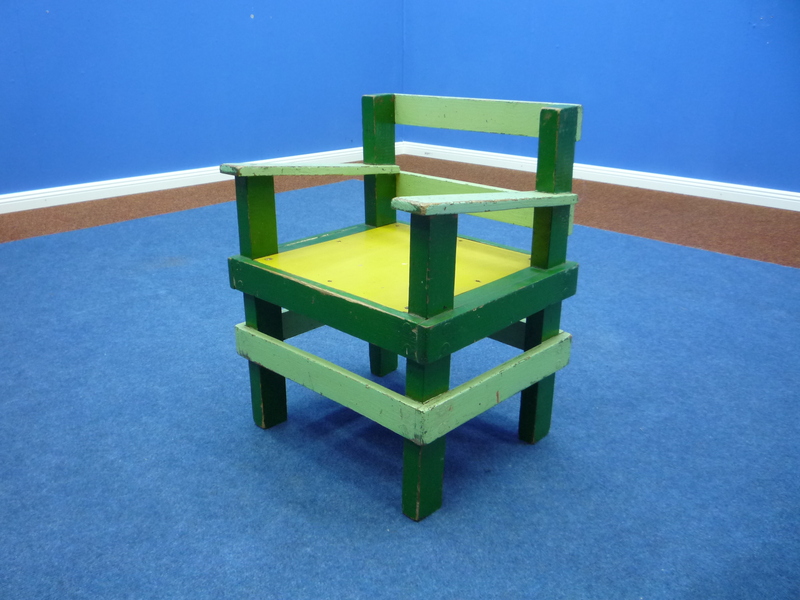 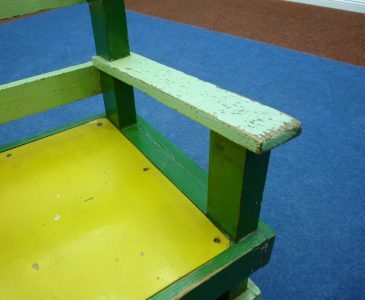 Interestingly children's chair in Bauhaus style. 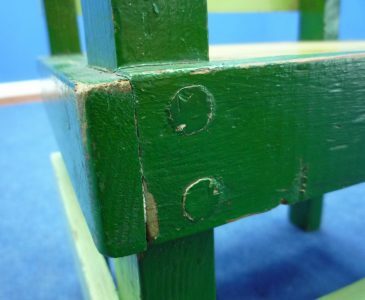 Handcrafted from solid wood. 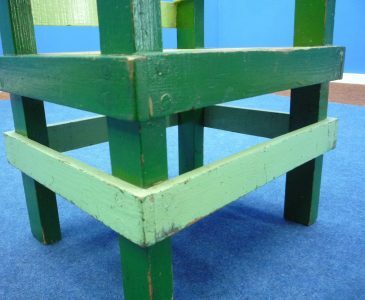 Postmodern! 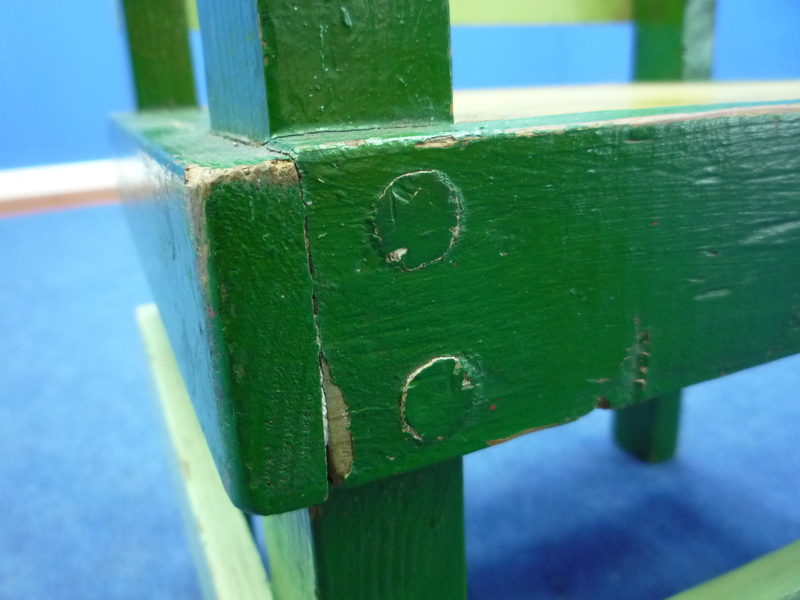 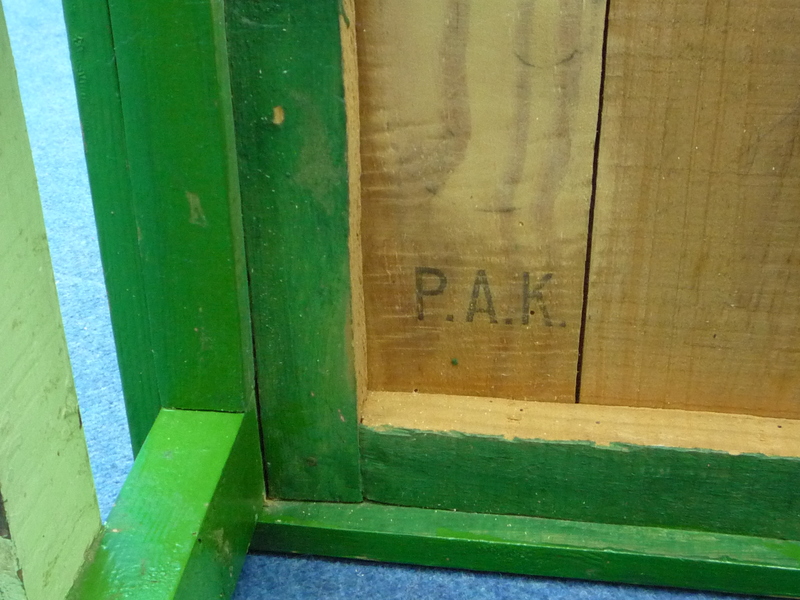 Original paint with paint defects. The chair is stable and ready to use.